ItemI-01413 - Falconer Marine's 'Lochinvar'. ItemI-01414 - Quadra and Pandora Service Station, Victoria; northwest corner. ItemI-01415 - Fernwood Garage, Bay Street, Victoria. ItemI-01416 - Nelson's Garage, northwest corner of Blanshard Street at Johnson, Victoria. ItemI-01417 - Cairo Coffee, Y.W. Linn, and Luney Brothers, Douglas Street, Victoria. 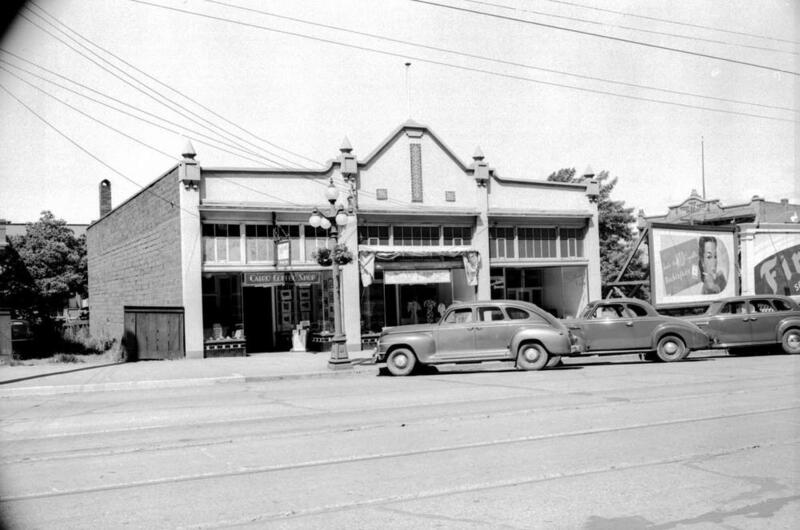 ItemI-01657 - Victoria; Northwest Corner Fort And Douglas Streets; The Kresge Store On The Corner; Fletchers Almost Out Of The Photo On The Right. ItemI-01659 - Victoria; Northeast Corner Fort And Government Streets; The Pipe Shop On The Corner. ItemI-01663 - Victoria; Southeast Corner Yates And Government Streets; Union Building To The Right At The Corner Of Government And View Street. Item I-01417 - Cairo Coffee, Y.W. Linn, and Luney Brothers, Douglas Street, Victoria. Cairo Coffee, Y.W. Linn, and Luney Brothers, Douglas Street, Victoria.